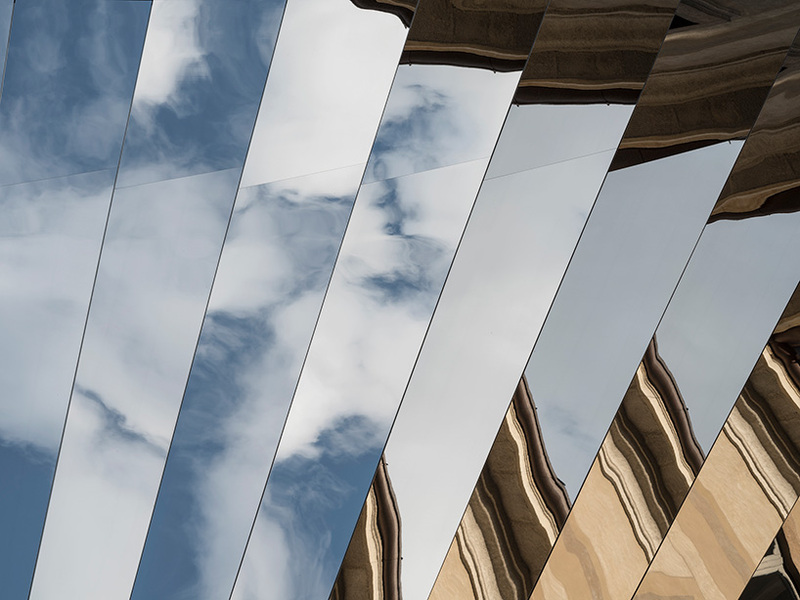 watch our talk with phillip k. smith III! 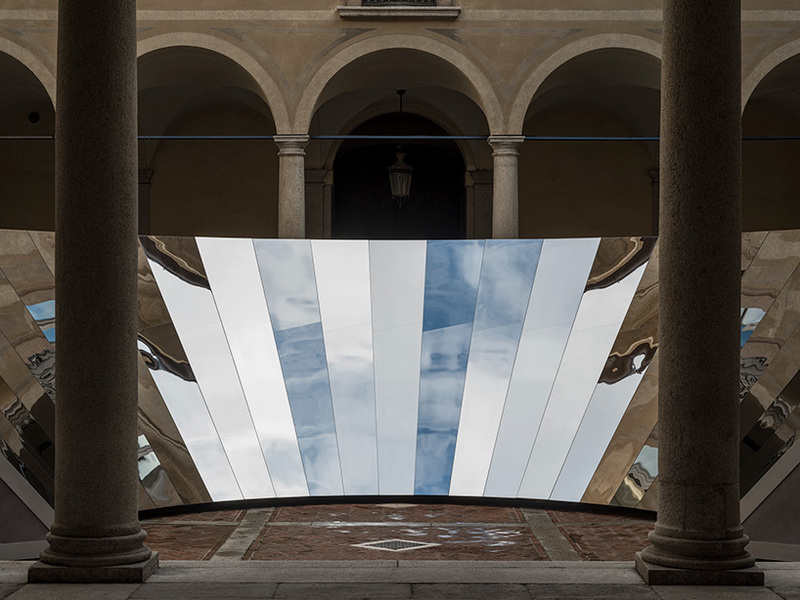 designboom is excited to collaborate with COS for the second year by co-hosting an evening in conversation with the artist. 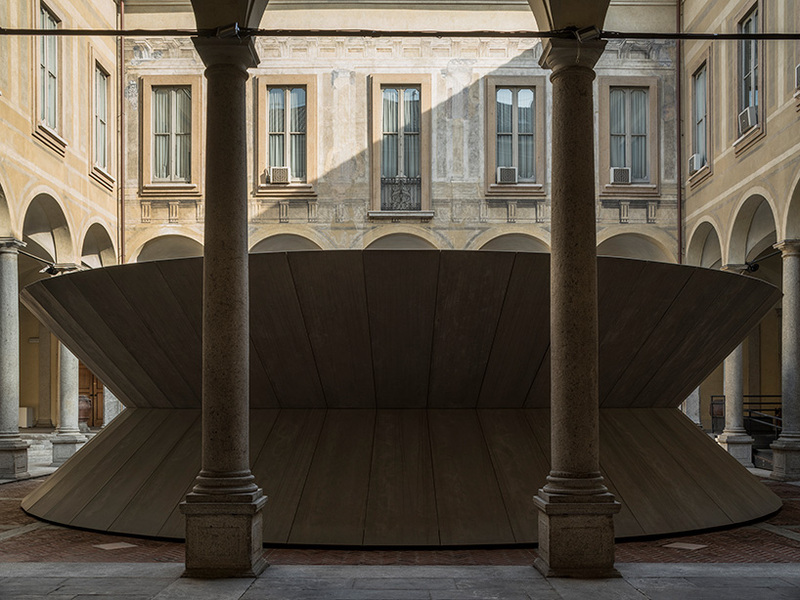 the event will be hosted by designboom editor kieron marchese at palazzo isimbardi — corso monforte, 35 — on thursday april 19 from 6:30pm – 8:00pm, and will also be streamed live on designboom’s facebook. 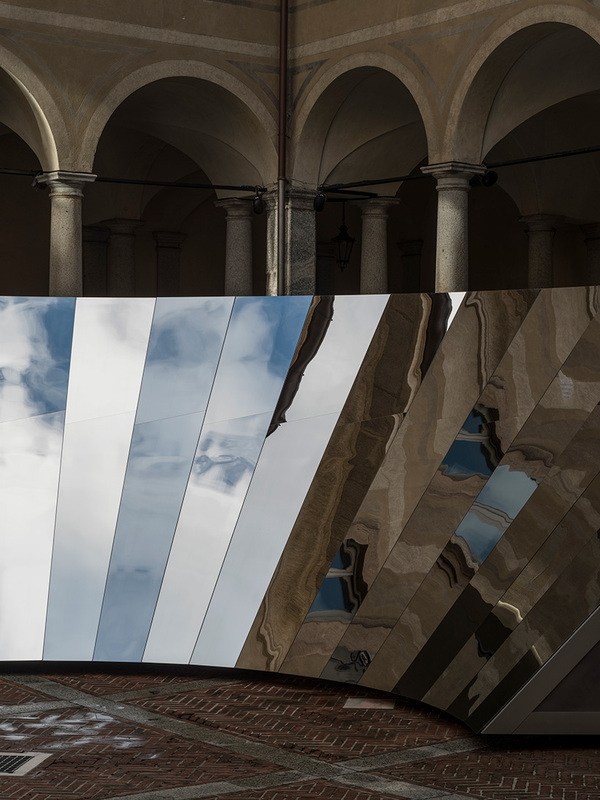 guests in milan will have the chance to experience the installation during a drinks reception, and pose their questions to the artist during a Q&A session with the audience. 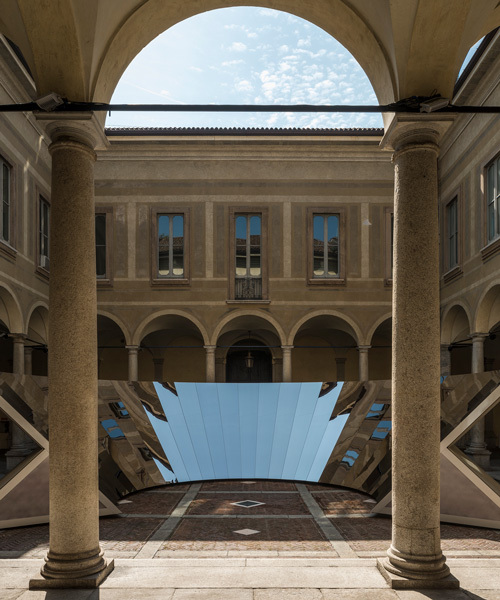 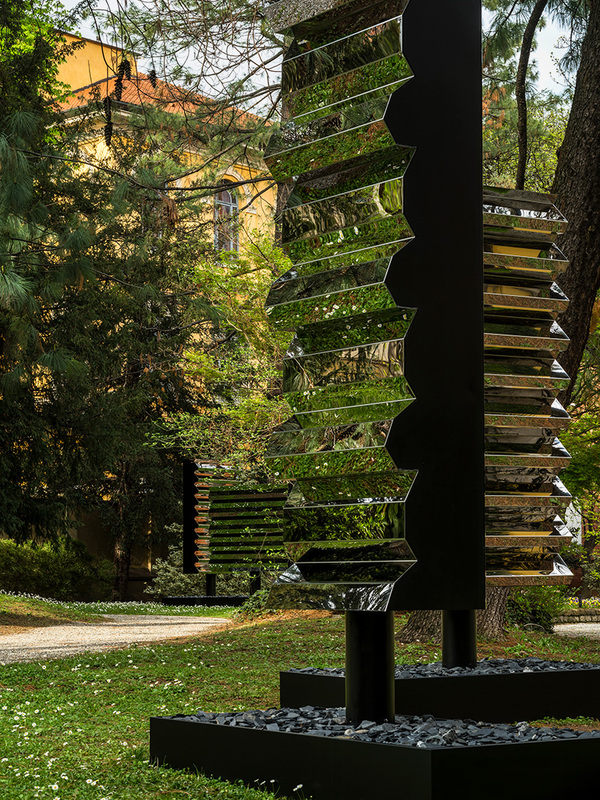 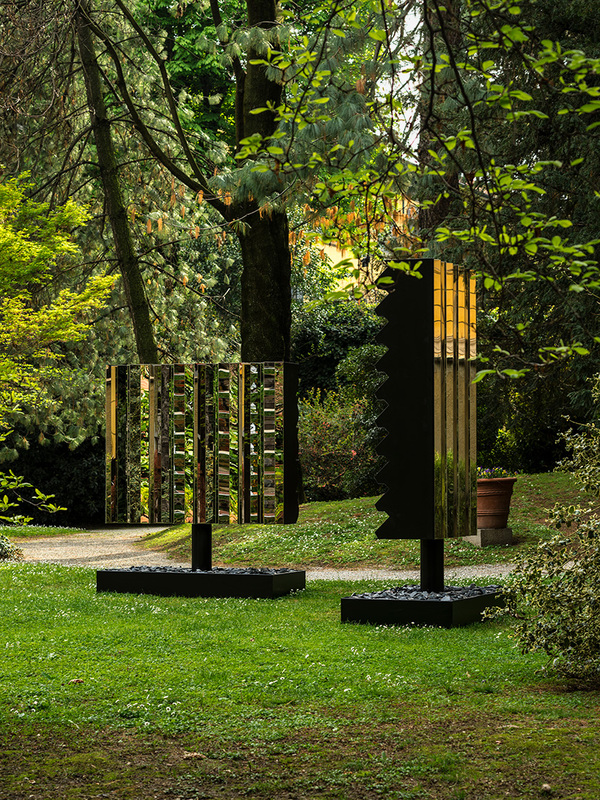 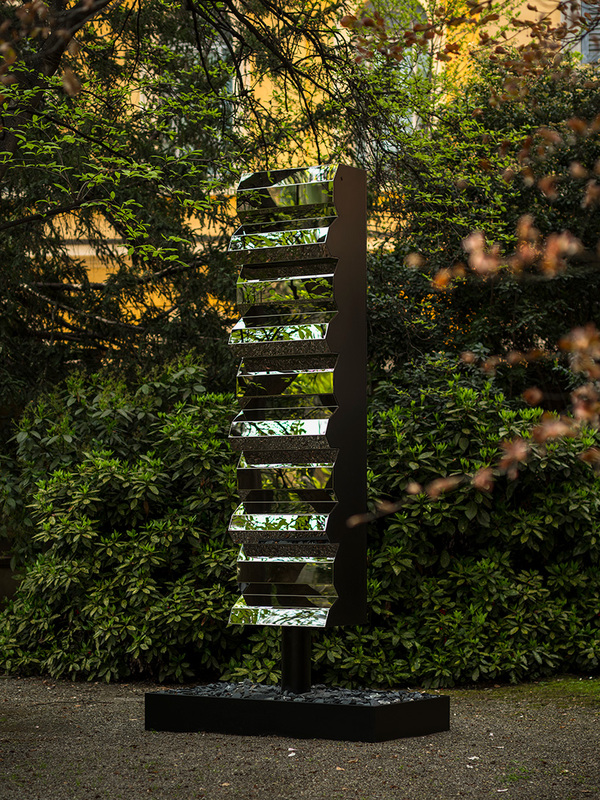 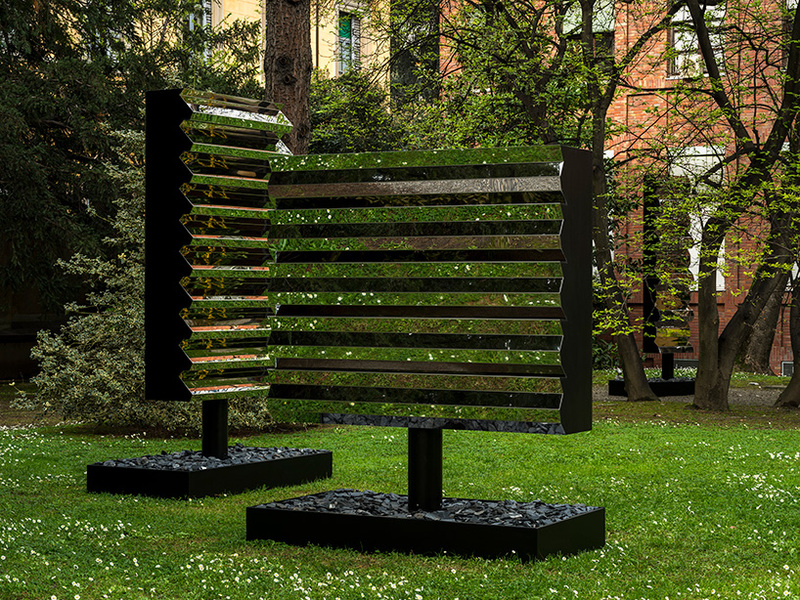 in the palazzo’s adjoining english garden, smith III has installed five free-standing reflective sculptures that refract sampled views of the green space. 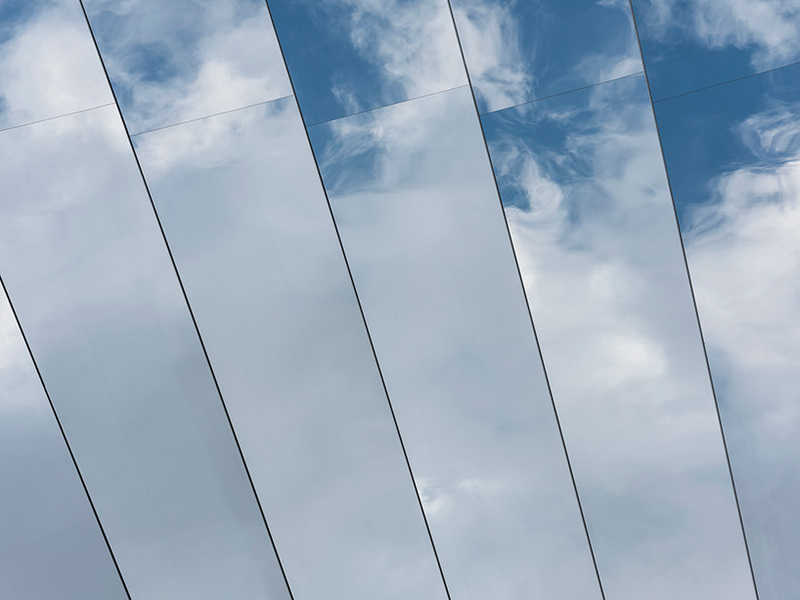 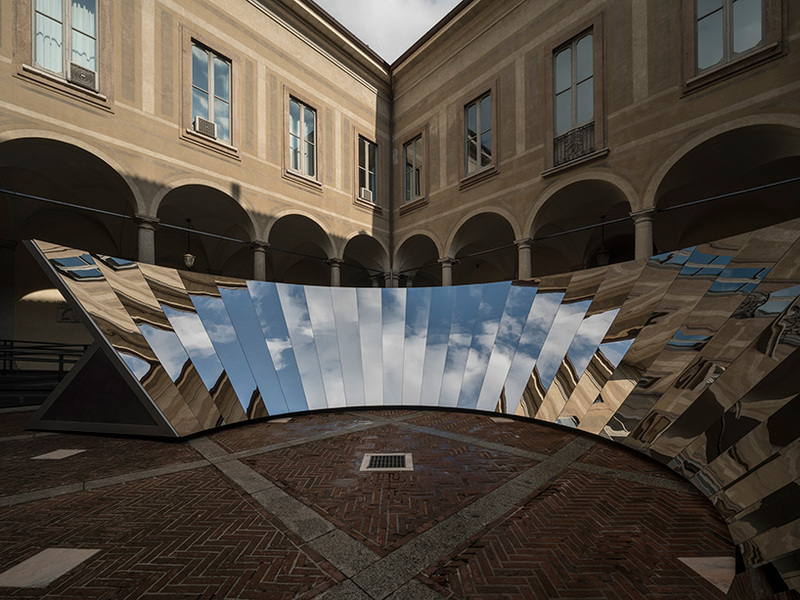 horizontally and vertically folded reflective layers mirror arrangements of the surrounding architecture and the sky overhead. 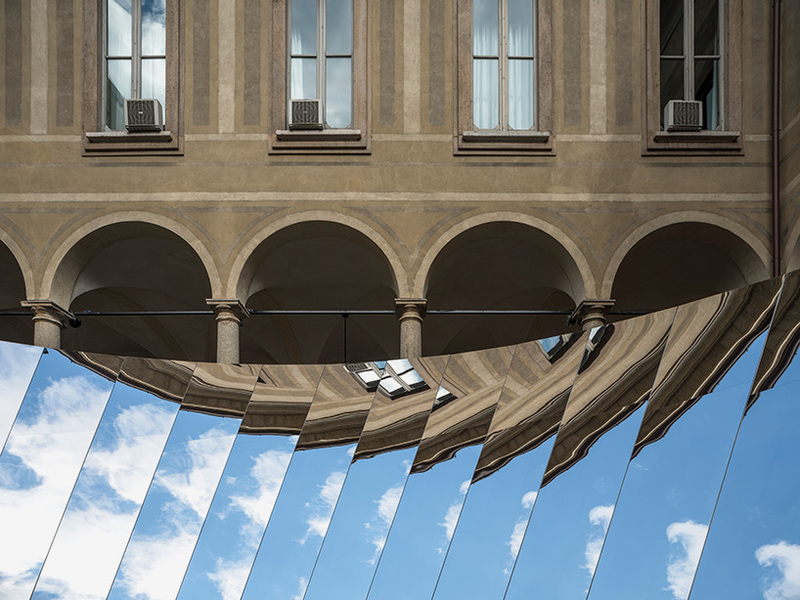 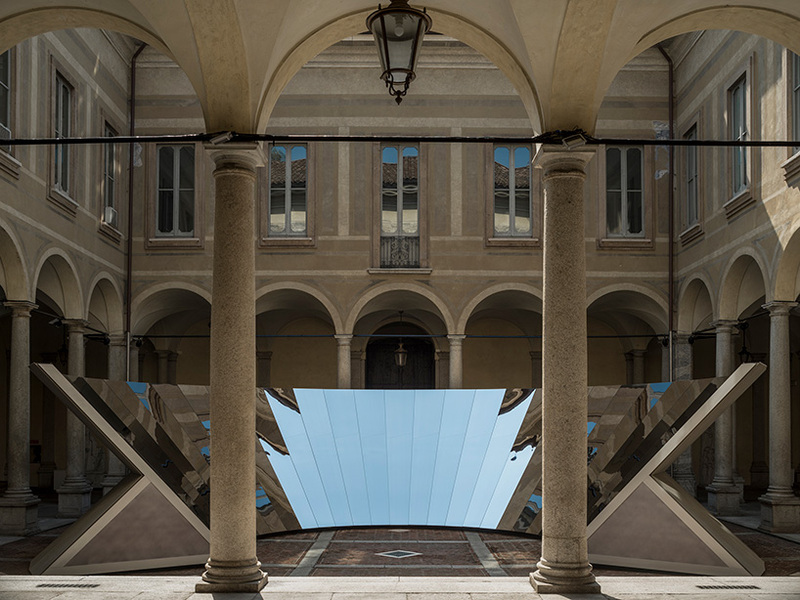 inspired by these works, the artist has also devised a series of smaller scale window displays at select COS stores that shift the world of reflection to the milanese streetscape.